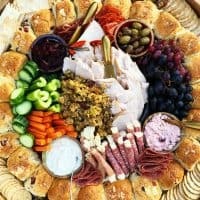 How to make a charcuterie board with leftovers is easy! 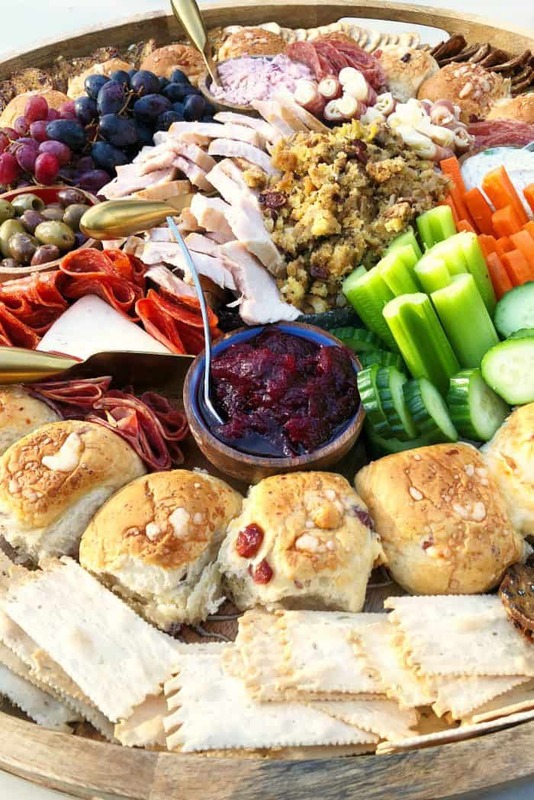 Create this Leftover Thanksgiving Epic Charcuterie Board with turkey, stuffing, and cranberry sauce! While Thanksgiving is a only few days away, if this year is like years past, you’ll likely have dishes of leftovers to eat up. 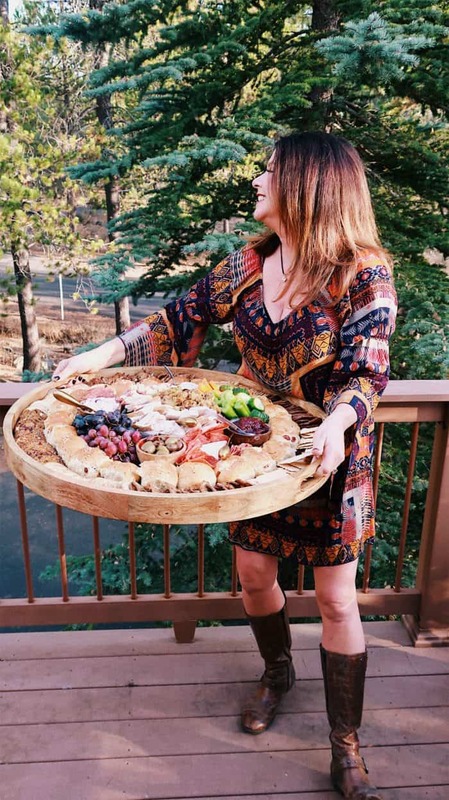 A great way to serve your leftovers is to invite your friends or neighbors over to enjoy a Leftover Thanksgiving Epic Charcuterie Board! 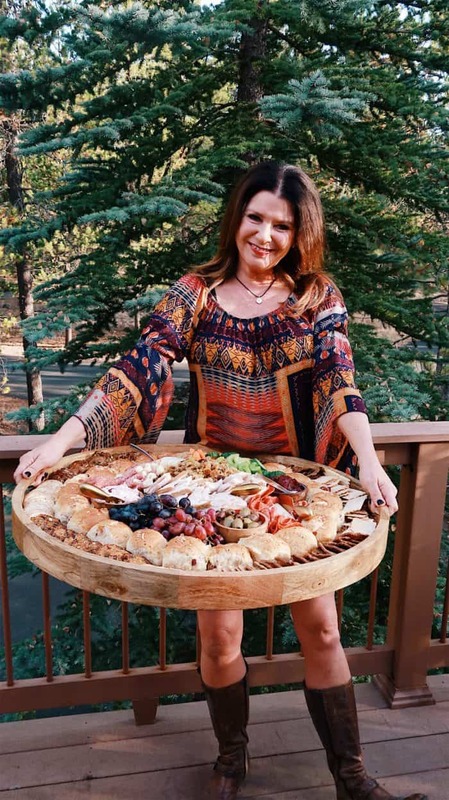 If you’re looking for more charcuterie ideas, visit my charcuterie/cheeseboard page! :) If you want to serve waffles for dinner, try this Pumpkin Waffle Board Dinner! I’m so glad that a grateful spirit can live in our hearts. Being filled with gratitude can really define us and spill over into the lives of others if we let it. We can tweak our attitudes when being thankful settles in … for the better! This year, I’m thankful for the friends who are coming over to spend Thanksgiving with us! And that’s right, we will have leftovers! With all the leftovers, instead of having Thanksgiving dinner every night (for a week, HA! 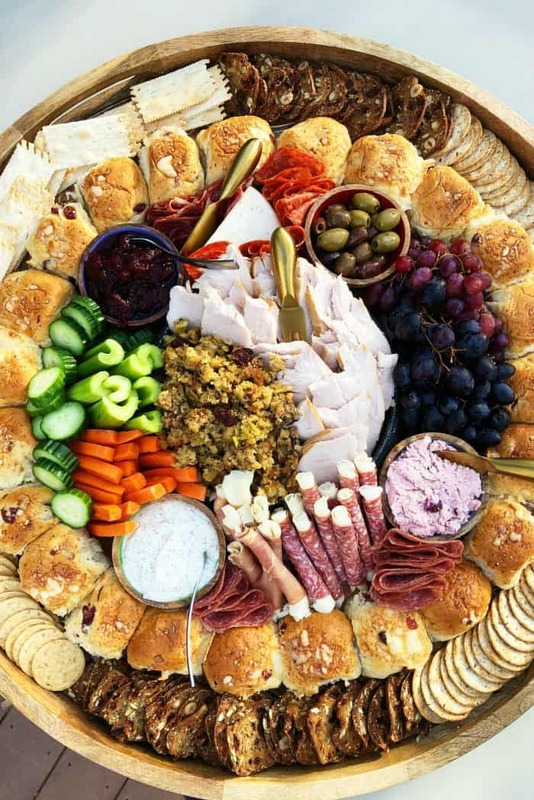 ), transform the leftovers into a Thanksgiving Epic Charcuterie Board. So fun! 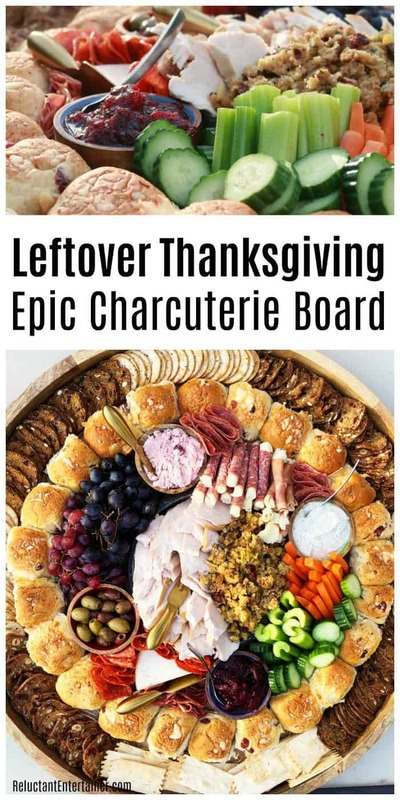 Below are the leftover Thanksgiving foods that we used (like turkey, cranberries, crudite platter leftovers, and more), creating a Leftover Thanksgiving Epic Charcuterie Board. 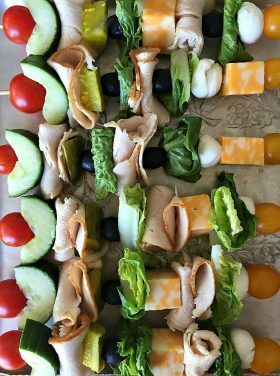 Super healthy, add fresh dinner rolls (a must), and lots of snackin’ goes on! Oh, and these dinner rolls? We found them at a gourmet grocery store here in town, and they are Big Ed’s Gouda Cranberry Rolls! Everyone asks where I bought my board. I bought it in the store at Pier 1. We originally placed parchment paper down, but then eventually lighty sanded the board and seasoned it with beeswax and mineral oil. Easy! I say fill the board with most foods, heating up the rolls, turkey, and stuffing right before serving. 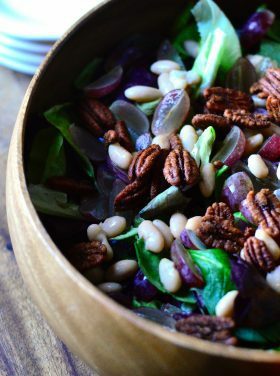 Oh, and you have leftover cranberry salad? You could possibly slip that in on the board … somewhere. HA. 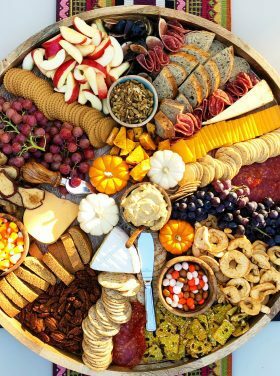 More fun board ideas: Fabulous Cornucopia Cheese Board [BakerMama] and Cheese Board 101 [Barefeet in the Kitchen]. 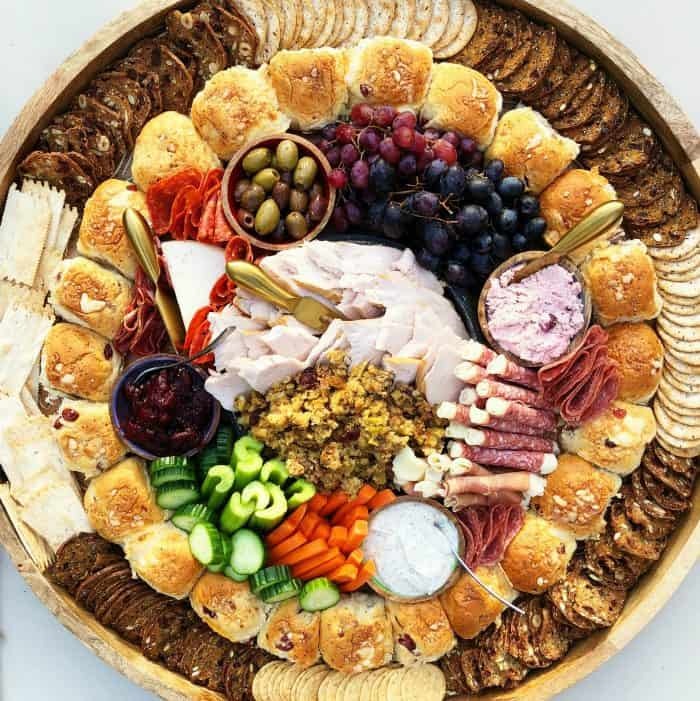 Use leftover Thanksgiving dishes to arrange on a large serving tray or platter, adding in meats and cheese! 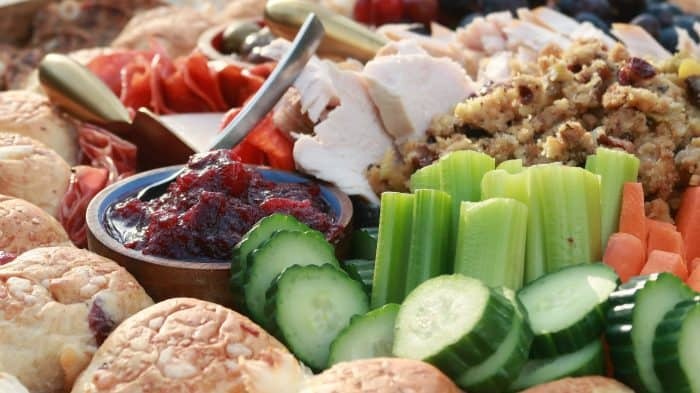 On a large tray or board, take a low-line bowl to fill with leftover heated up turkey and stuffing. Fill 4 small bowls with olives, cranberry sauce, ranch dressing, and cream cheese (or a cream cheese spread). Arrange the rest of the food around the bowls and DIG IN!